This section allows customizing your website colors according to your preferences and requirements. There are 2 themes available by default – user mode theme and admin mode theme. Click “Edit” icon to edit theme logotype. 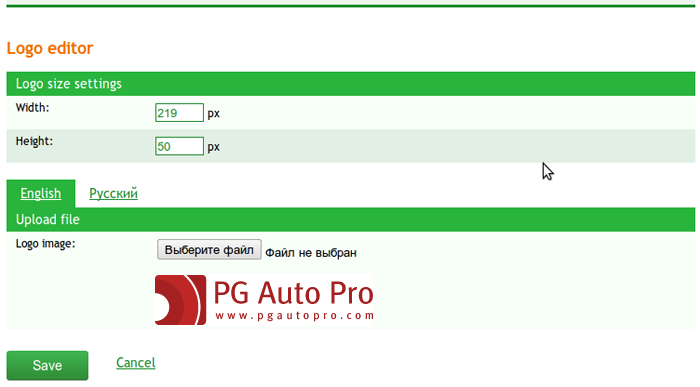 You can upload logo for every language interface. Edit logo width and hight if required. Press “Add new” button to create a new color theme or click “Edit” icon on the right side to edit an existing color theme. 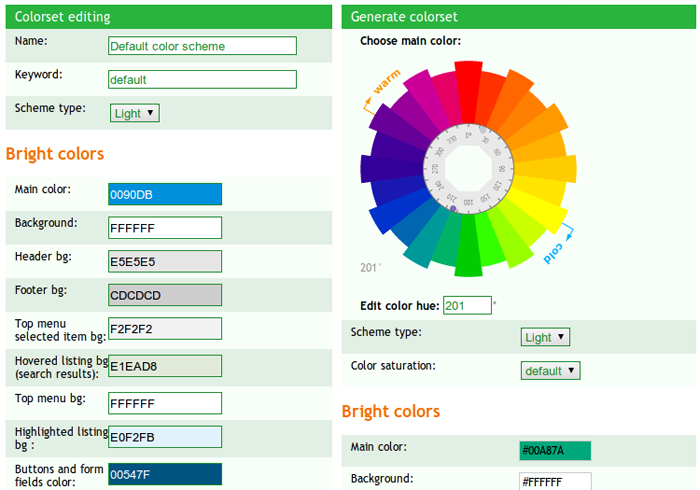 Here you can change colors manually or use tool for generating color scheme. Background may be light or dark. When choosing a dark background, the system changes dull colors and font color. Change default color settings if necessary. Use scale on the right side to choose a new main color and to have the system generate a matching scheme of bright colors. Press “Apply” if generated color scheme suits. The system will update theme colors on the left side. You can change updated colors if required. Press “Save” to save the color theme. On the left side, choose background and saturation, add color number or use scale to choose a color for every color setting. You can change the colors later if required. Press “Save” to save the changes. “Preview” is available on the page with the list of templates and themes.